So why am I crazy about the slow cooker? Let me tell you. There is a stereotype that college students live off of microwave pizza, cereal, and instant soup. Being a recent college grad myself, I can tell you this isn’t entirely true; they also live on coffee and will power! 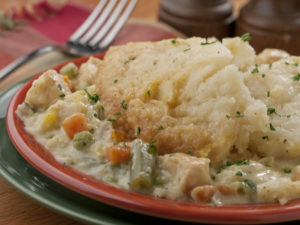 There’s a serious hole in the hearts, and stomachs, of every college student when it comes to a good home-cooked meal. We miss it. And it’s always an amazing part of going home! However, I got lucky in college, as you will see. Rooming with me was a brilliant young woman, named Alyssa. Some might say she was the brightest girl of her age; I certainly would. There wasn’t much, I found, that my friend couldn’t do. The one thing she had not mastered, she told me,over a hot pumpkin spiced beverage, was cooking. To solve that problem, she went out and bought a slow cooker! It was the best thing to ever happen to me in our four years together. Suddenly, our dorm room was always filled with the aroma of slow roasting meats and slow cooked baked goods! My wasteland of crackers and starvation had turned into a slow cooked buffet. Alyssa held dinner parties and, in feeding us well, had taken her first successful steps into the culinary world! 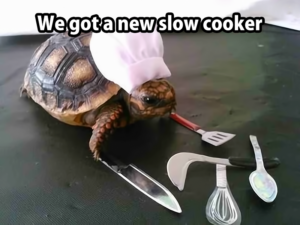 When she purchased her slow cooker, Alyssa had brought us our own personal chef. 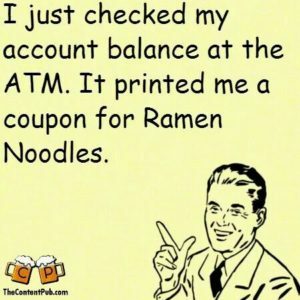 Now, you’re probably not a starving college student. But, I imagine that you like the sound of having a personal chef. That’s why I’m writing to you about slow cookers! They changed my life, and I know they can change yours, in terms of how we all do dinner. This device is the easy, no-fuss alternative to slaving in the kitchen. You literally toss a bunch of ingredients into the pot, turn it on, and then forget about it until the timer goes off and it’s time to eat. Nothing’s better. 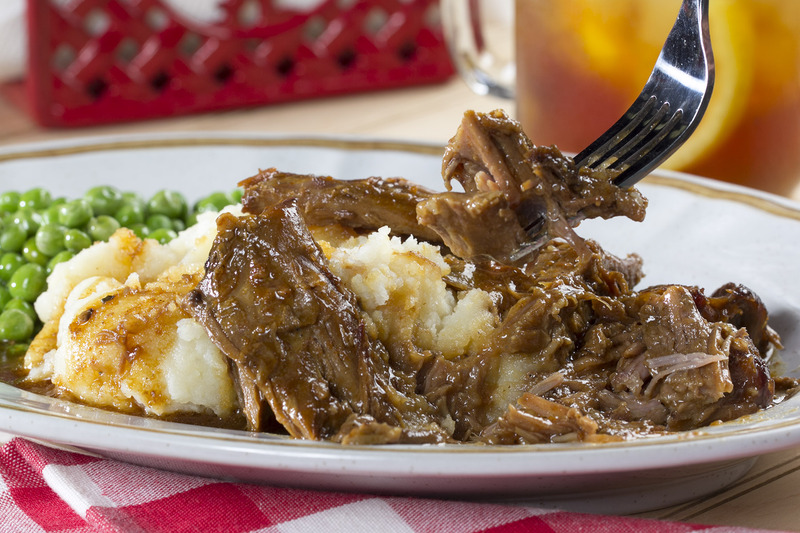 Here’s what you need to know about your slow cooker, slow cooking, and slow cooker recipes! Where to buy slow cookers? 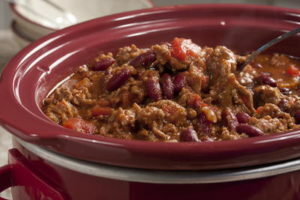 Slow cookers can be purchased in many local, brand name stores. Walmart, Target, Best Buy, and Bed Bath & Beyond are just a few of the stores that sell these personal chefs. The stores available to you may differ depending on where you’re reading this from, but any store similar to the ones listed above should do the trick. You can also order your personal chef online and have it delivered to your home, if you’re into that sort of thing. I prefer to handle what I’m buying before I put my money down! How much do slow cookers cost? If you’re asking me how much one of these babies costs, I’m going to ask you this: how much do you want to spend? Slow cookers come in a wide range of prices! From $9.99 to $99.99, you’re sure to find a slow cooker that meets your personal financial needs. Just so you know, the slow cooker I have at home is at the lower end of that price range and works perfectly. So you don’t have to worry that getting a bargain is going to compromise the quality of your food! What brand of slow cooker should I get? It would not be a stretch to say that the most trusted brand of slow cooker is Crock-Pot©. People even use the phrase “crock-pot” to refer to their slow cookers in general. But there are many other brands that produce high quality slow cookers. KitchenAid, Hamilton Beach, and Cuisinart are just a few. Any of these brands could be exactly what you need. Some slow cookers can even connect to your home internet so you can turn it off with your phone while you’re out and about. There’s one for everyone! What slow cooker recipes in my fabulous new personal chef? I’m so glad you asked! This is the fun part and, let me tell you, the list of what we can make in a slow cooker is long and flavorful! Hearty slow cooker stews, juicy slow cooker chicken dinners, tender slow cooker pot roasts, slow cooker casseroles, slow cooker ribs, and even slow cooker desserts! 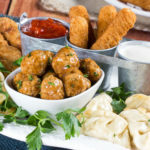 Dinners, side dishes, desserts! Your slow cooker can handle them all. 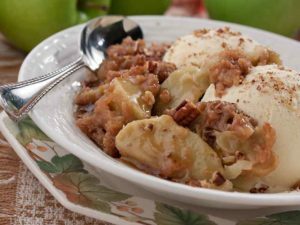 Your slow cooker will open up a door into several new and amazing dining experiences that your friends and family will love and want you to make again and again. And why wouldn’t you when it’s this easy? Your personal chef does all the work! Are there any negatives? Honestly, I wouldn’t call them negatives. There are just times when the slow cooker, despite how wonderful it is, might not be the answer to your cooking needs, and that’s okay! Here’s a list of pros and cons to consider when it comes to using or buying a slow cooker. If you want to use your slow cooker just make sure you pick a slow cooker recipe. It’s that simple! There you have it. All the information you need to turn your slow cooker into your personal gourmet chef. If you owned one before reading this, you have tons of new recipes to try! And if not, there’s no reason you shouldn’t get one now, since you’re an expert and all. The fact of the matter is that slow cookers will make your life easier and your meals, whatever you decide to make, will be absolutely fantastic. All the luxury of a personal chef at a fraction of the cost. What’s the next thing you’ll be making in your slow cooker? In conclusion, I’d just like to say, “Thank you, Alyssa! Thank you for feeding me and for being you.” Now, if you’ll excuse me, my slow cooker just dinged, and that means it’s dinner time! 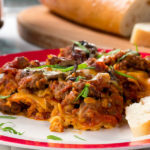 That slow cooker lasagna looks awesome!